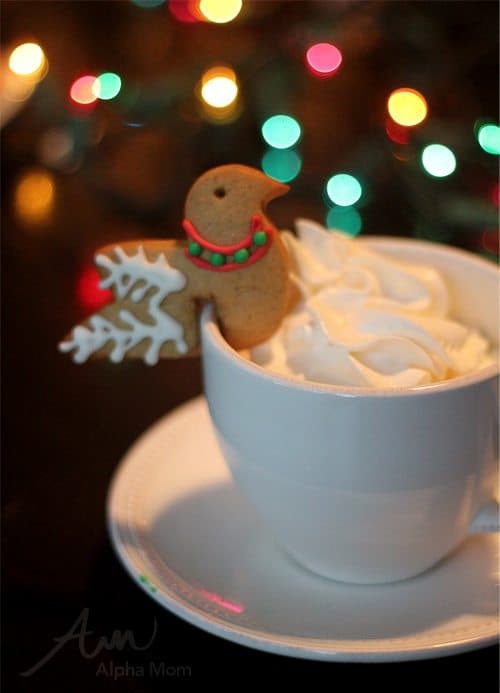 ‘Tis the season to cozy up to the fire with a cup of something hot and a cookie. 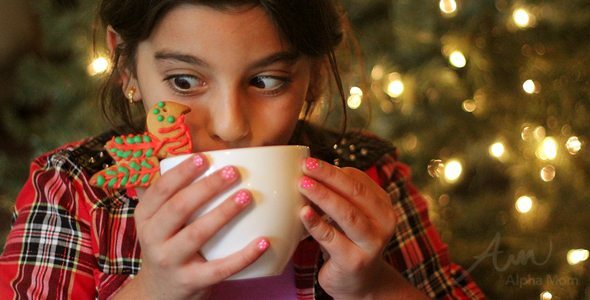 But, what if you could cozy up to the fire with a cup of something hot and have your cookie perch right on the side of your cup?! For this recipe, I used my favorite gingerbread recipe but halved the amount for baking soda. By cutting down on the baking soda, we reduced the rising factor and kept the cuts nice and sharp, which is essential to keeping the bird perching properly on the side of a cup. I used a hummingbird cookie cutter and cut off the long beak and tail feathers with a knife but you could use any of your favorite bird cookie cutters. After I cut out my birds, I made a small eighth of an inch notch on the bottom of the bird to create the slot for the cup edge. I created the feather texture by gently pressing a fork into the dough and the eyes by poking the blunt end of a toothpick into the bird head. This particular dough recipe is a bit fussy and requires frequent 15 minute time-outs in the freezer to keep its shape in between steps. But in the end the structural strength is worth the extra time. We baked them until they were nice and toasty (following the recipe directions) and then we decorated them with a classic royal icing. 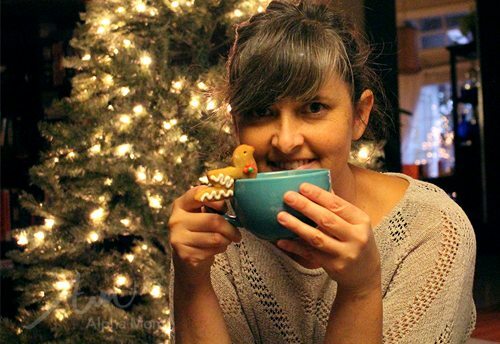 Then we made our favorite drinks (latte for me, vanilla steamers for the kids), perched our cookies (after the icing hardened of course) on the sides of our cups and grabbed a spot by the fire!